Cannot be Normal Summoned, unless you control a "Ghostrick" monster. Once per turn: You can change this card to face-down Defense Position. 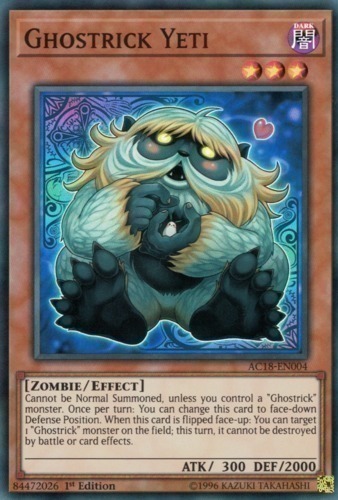 When this card is flipped face-up: You can target 1 "Ghostrick" monster on the field; this turn, it cannot be destroyed by battle or card effects.